This book by Carmen Fernando is the first publication to explore this subject comprehensively. It explains that tongue tie is real and proceeds to recommend an assessment method to judge the severity of the condition and to determine whether surgical intervention is warranted. The book covers a wide range of facts: from the historical antecedents of present day attitudes; through the largely unrecognized and often devastating effects of the disability; to the purely practical skills of diagnosis and management of the condition. It will be a valuable resource for those with a tongue tie, the parents of children with a tongue tie, speech-language pathologists, lactation consultants, doctors, dentists and other health professionals. 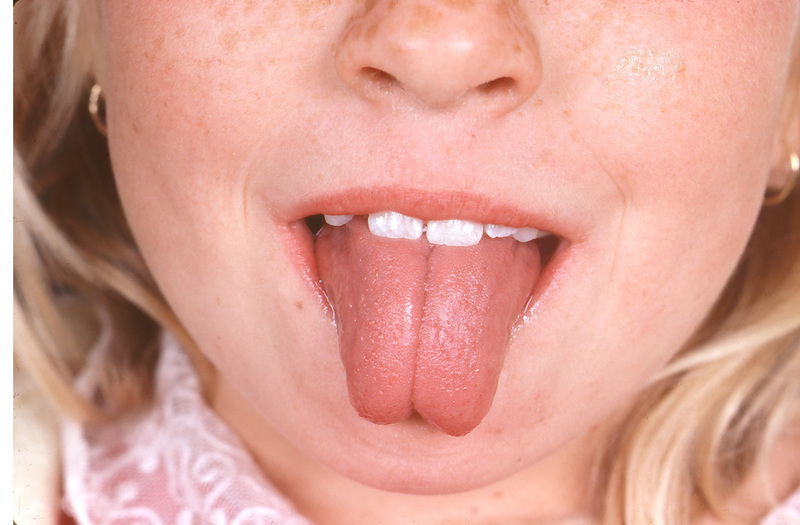 It includes 8 pages (31 plates) of high quality colour photographs of a variety of tongue ties, 9 case histories, a detailed protocol for the assessment of tongue ties, exercises for improving lingual proficiency (after surgery), and a summary of a study of 200 children who were found to have a tongue tie. PLEASE NOTE: Refunds will only be processed to active Paypal accounts within a 6 month period from the initial purchase. This website is based in Australia and any responses will be made during AEST time zone. The book "Tongue Tie: from confusion to clarity" is now available as an eBook. Please select the 'buy now' button below to purchase the eBook. Note: Once you have made your payment, we will email you within 3 business days with a link to your ebook. The book 'Tongue Tie: from confusion to clarity' is now also available in printed format. Please select below either for the book to be delivered with Australia or overseas. Allow 5-10 days from the receipt of payment for your book to be delivered. If you require more quantities of the printed version, please contact us by email. The TAP book is available in printed format. Please order below for your copy of the TAP book. This is all presented in a professional looking book that is the perfect companion to the Tongue Tie book. We have received many reviews of this book. Please feel free to read these reviews here. If you would like to leave a review, please click here and complete this form. Downward protrusion shows deep notching and midline groove. Elevation requires both gripping by teeth and support from lower lip. Adult: Teeth grip tongue to stabilise it in an attempt at forward protrusion. 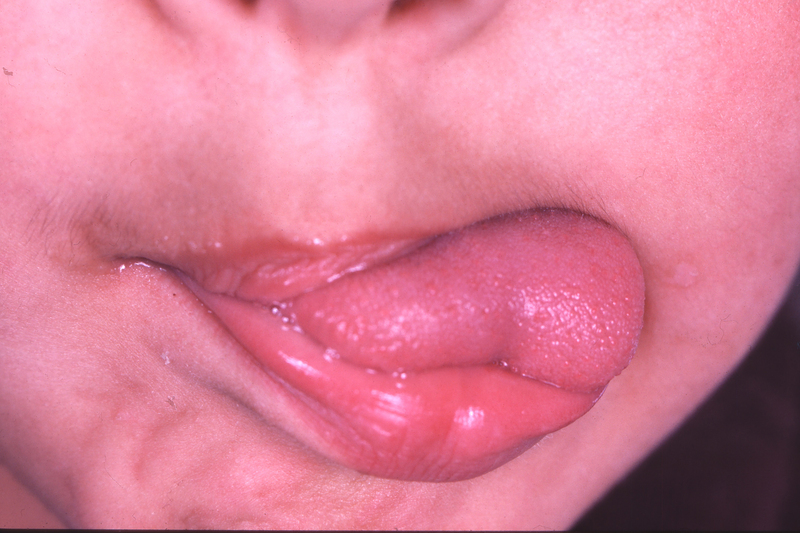 Lateral lick, tongue flips over in a bizarre movement, salivary profusion. 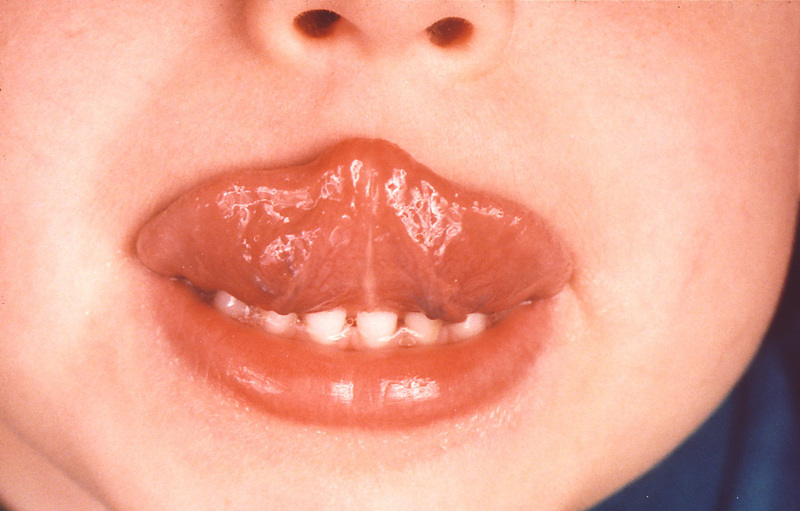 Adult frenum, thick & short, with small tongue during elevation. 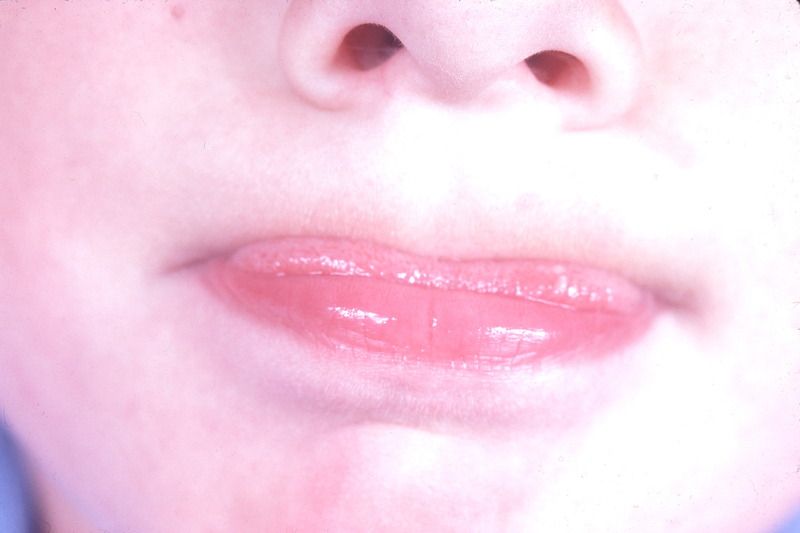 Bulky tongue in protrusion fills oral space, held tightly by lips. 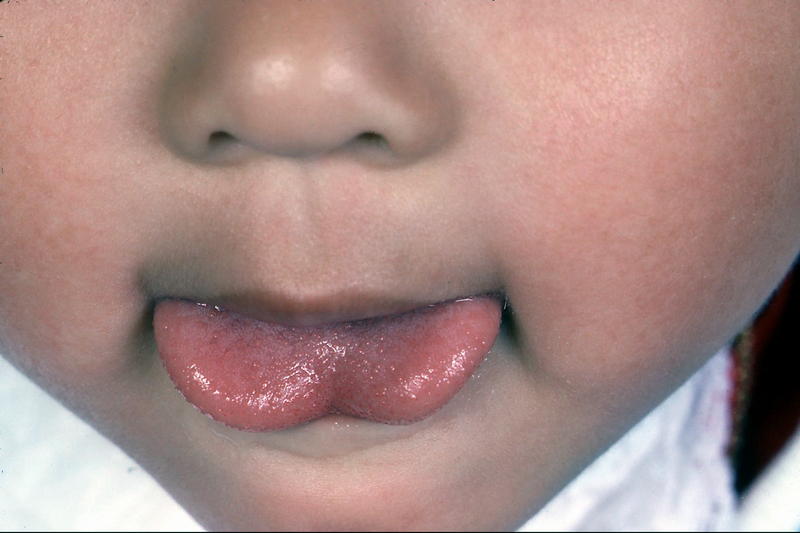 Typical heart-shaped tongue held on lower lip, pointing impossible.